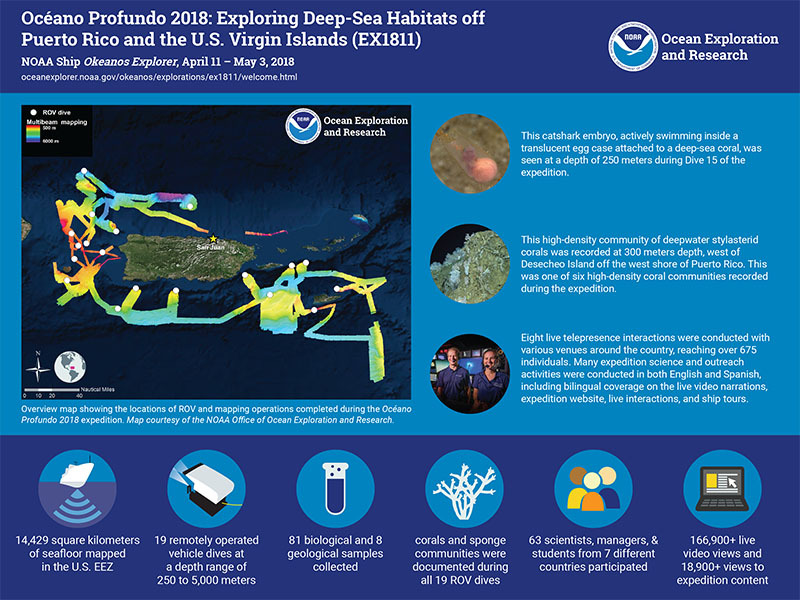 Océano Profundo 2018: Exploring Deep-Sea Habitats off Puerto Rico and the U.S. Virgin Islands was a 22-day telepresence-enabled expedition on NOAA Ship Okeanos Explorer to collect data on priority exploration areas identified by the ocean management and scientific communities. Major accomplishments of this expedition are summarized here. Here are some of our favorite moments and highlights from this expedition. 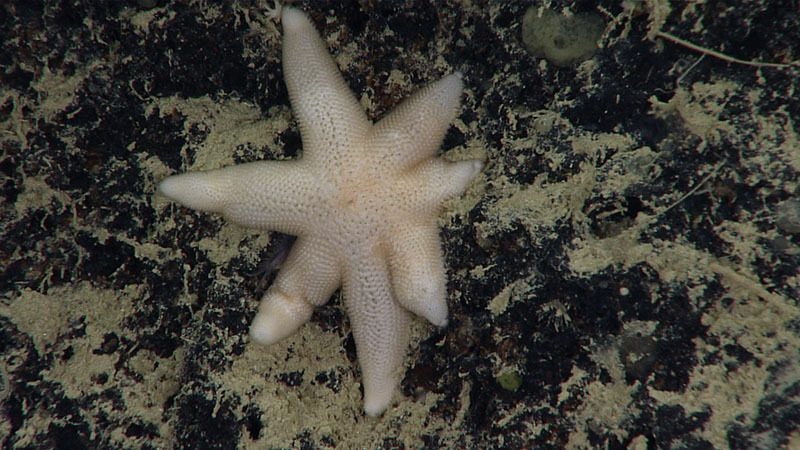 This mission log features five rarely seen or in some cases undescribed (i.e., new) species of sea stars that we have come across during Okeanos Explorer expeditions. 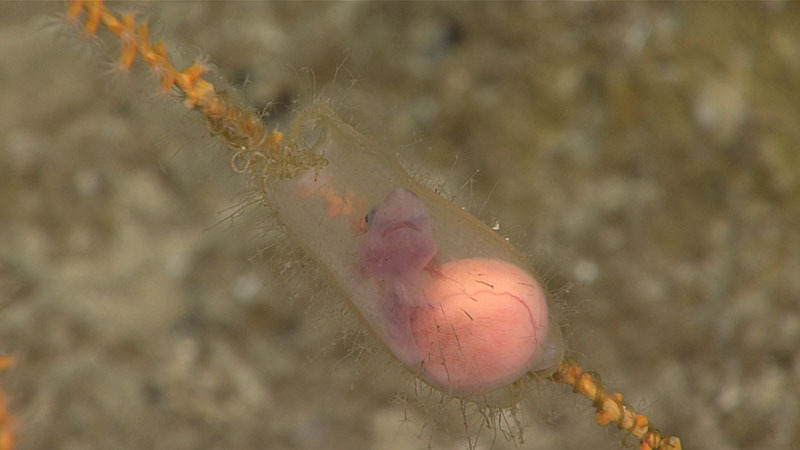 Four of these were observations made during the 2015 and 2018 Océano Profundo expeditions to explore deep-sea habitats off Puerto Rico and the U.S. Virgin Islands. Predation is a strong driver of the ecology of marine communities, and sharks are the main predatory force in many marine ecosystems. Publications on the diversity of sharks in the U.S. Caribbean are greatly limited when compared to other U.S. waters. To date, at least 42 species belonging to 15 families of sharks have been confirmed to exist in U.S. Caribbean waters based on specimen collections and DNA sequences. Our ocean covers most of our planet’s surface. It is very important to humans for many things, including the air we breathe, the food we eat, and our weather. 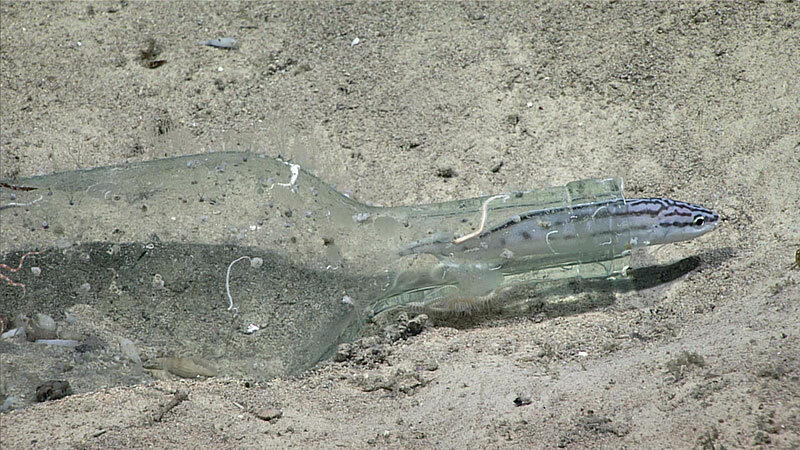 But we know very little about our ocean because it is very deep, very big, and hard to explore. 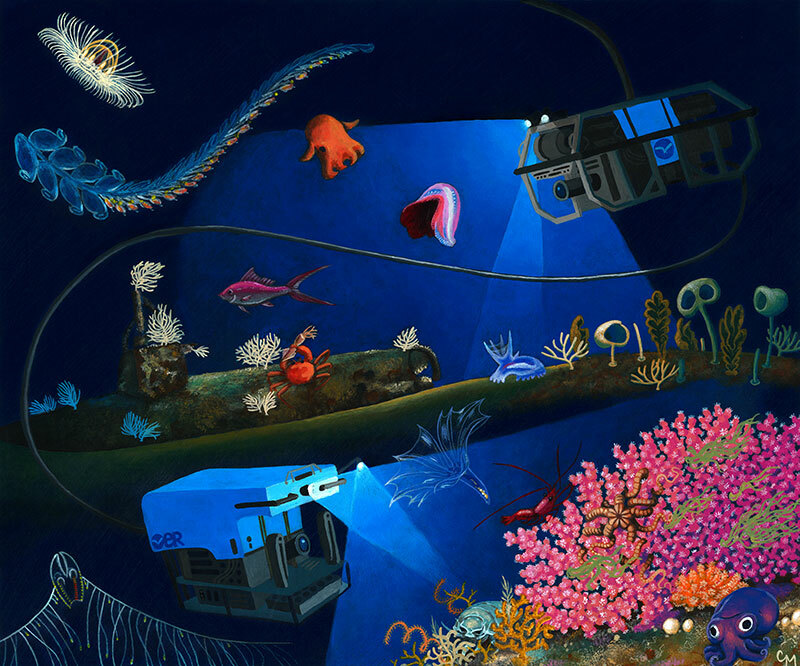 The pressure in the deep ocean is so great humans can’t travel there easily—it is easier for us to send astronauts into space than it is for humans to dive to the deepest parts of the ocean. The good news is that we have special robots designed to travel to the deepest and darkest places on Earth and see what things look like there. 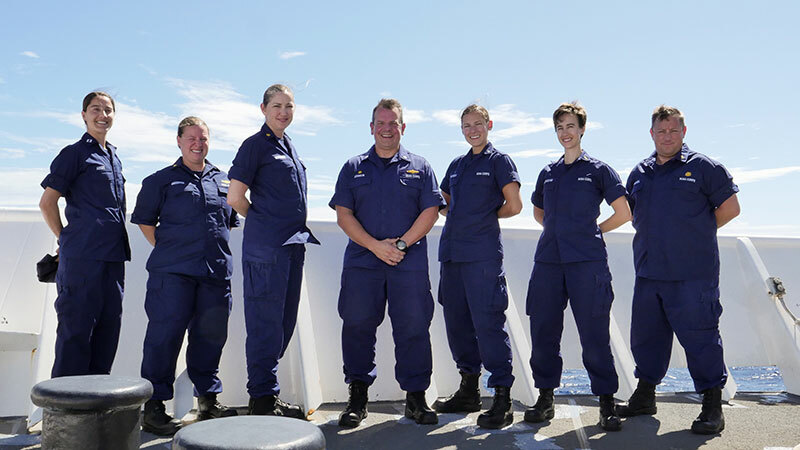 NOAA Ship Okeanos Explorer is run by a highly trained and dedicated team of NOAA Corps officers. 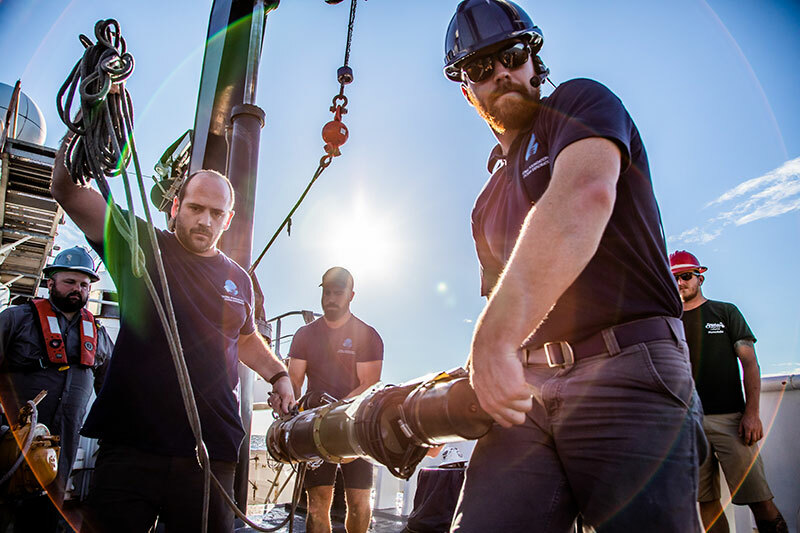 Exploring the deep sea is a complex undertaking that would not be possible without their skills and commitment to keeping everyone on board safe, while efficiently navigating the ship through high and low waters. Sea stars, also called starfish or asteroids, are known for their distinctive five-part symmetry, a characteristic which identifies not only sea stars, but all of their modern relatives including the brittle stars, sea urchins, feather stars and even the worm-like sea cucumbers. 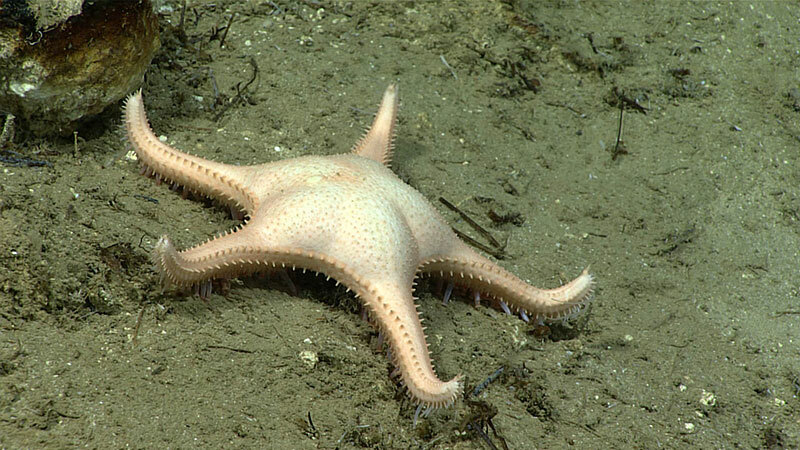 What is less commonly known, however, is that many sea star species regularly possess more than five rays, also called arms. 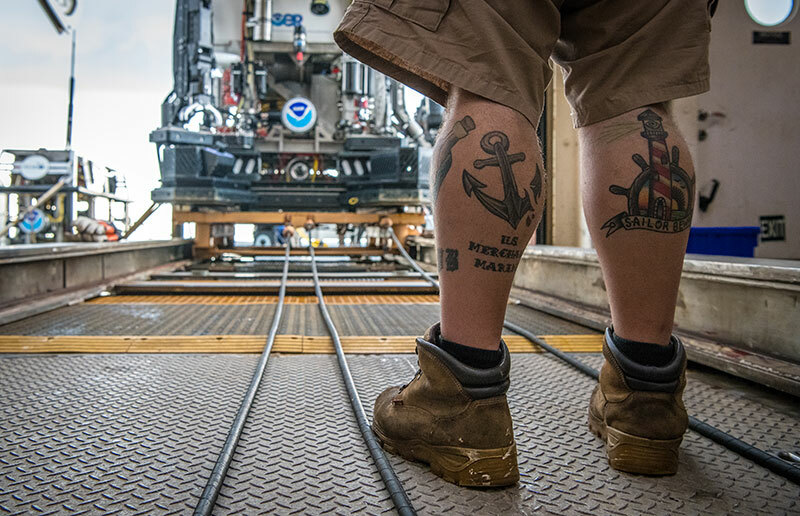 Sailing on NOAA Ship Okeanos Explorer, there are two things one might notice about the deck crew: first, that they are extremely dedicated to and good at their jobs and second, that they sport a lot of tattoos. Mariners have a rich culture of body art dating as far back as the 16th century, but the history of tattoos in general dates back much farther than that. 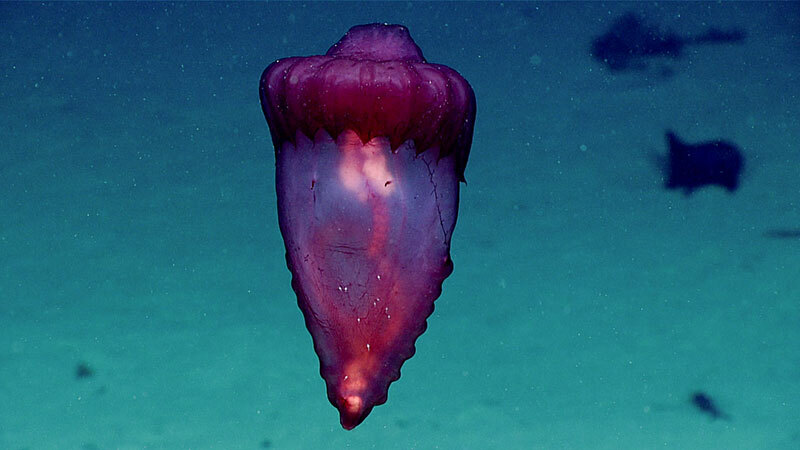 The swimming sea cucumber, Enypniastes eximia, sometimes referred to as the “headless chicken monster,” is a widespread species present in the abyss. It is encountered widely around the world with records from the Gulf of Mexico, Tropical Atlantic, East Atlantic, New Zealand, and the Southern Ocean (Antarctica). 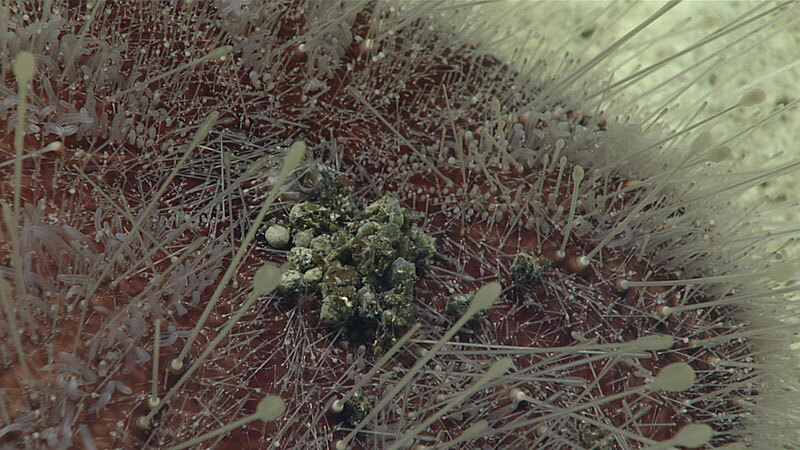 Today we saw a deep-sea sea urchin poop! Yes, it’s true! Sea urchins, like many animals, will expel poop from their digestive systems following the digestion of food. 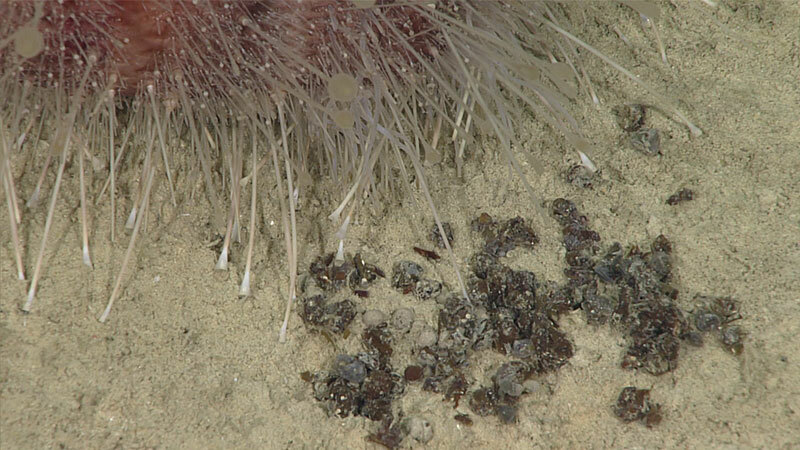 The sea urchin poop we saw today represents the amazing connectivity between photosynthetic food from the ocean’s surface and the deep sea. Dive 3 of the Océano Profundo 2018 expedition on November 2, 2018, took place at depths between 1,600-1,800 meters (5,250-5,905 feet), inside Buck Island Reef National Monument. 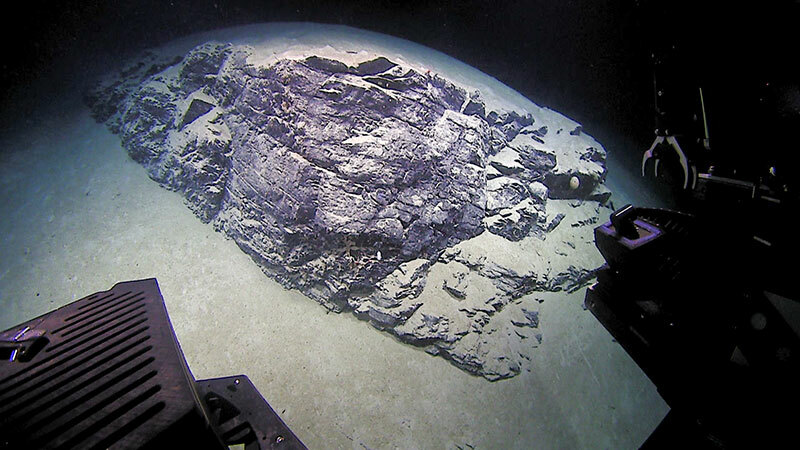 This was a special dive, as it explored the deepest areas ever surveyed inside the Monument and was also the deepest dive ever conducted within a conservation area managed by the U.S. National Park Service. 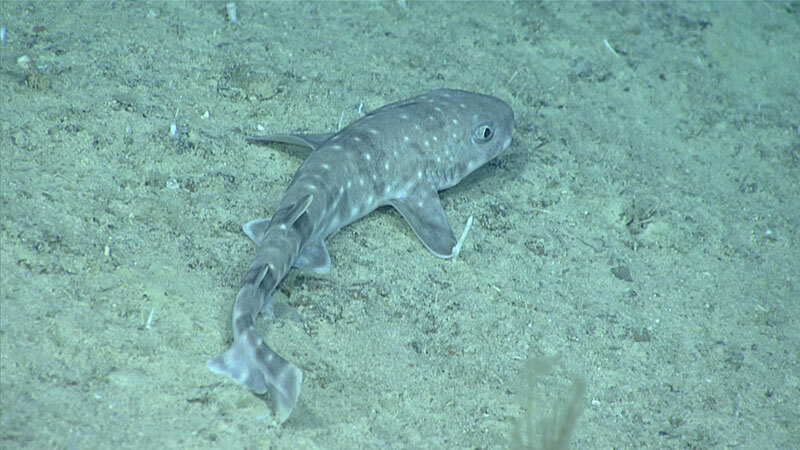 During Dive 2 of the expedition, we observed this fish, which is a stripefin brotula, Neobythites marginatus. 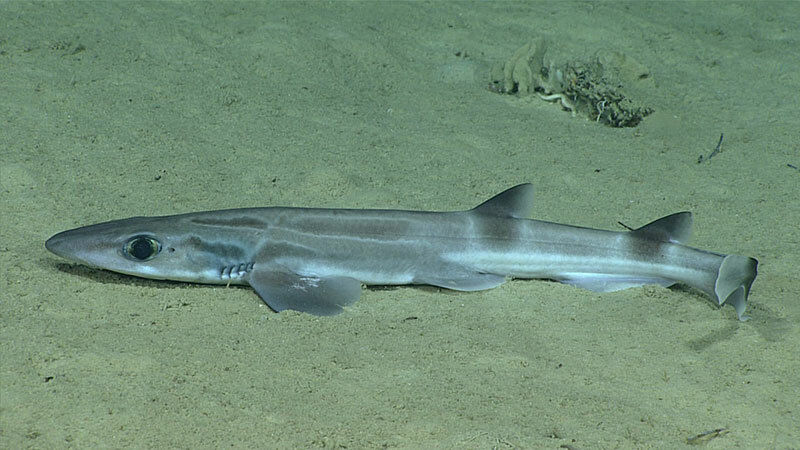 The species is in the brotula family Ophidiidae, commonly known as cusk eels, but they are neither true eels or cusks (relatives of codfish). The USBL (ultra-short baseline) system is used to determine the position of Deep Discoverer and Seirios while the vehicles are in the water. The accuracy of the system can vary greatly depending on many factors. A calibration is designed to maximize the accuracy of the system by identifying errors associated with the specific location of the transceiver on the ship’s hull. We decided to re-calibrate the USBL system before the first dive of the expedition.